A typical taco seasoning mix has additives, sugar, and MSG in it. There’s just no need for any of those ingredients to make a tasty taco seasoning. It’s super easy to make at home. Plus any time I can decrease my grocery bill, I will. It takes maybe about a minute more to put the spices in yourself instead of opening a package and saves you about a dollar if you already have all of these ingredients in your spice cabinet. You can also control the quality and quantity of salt and spice if you make it yourself. 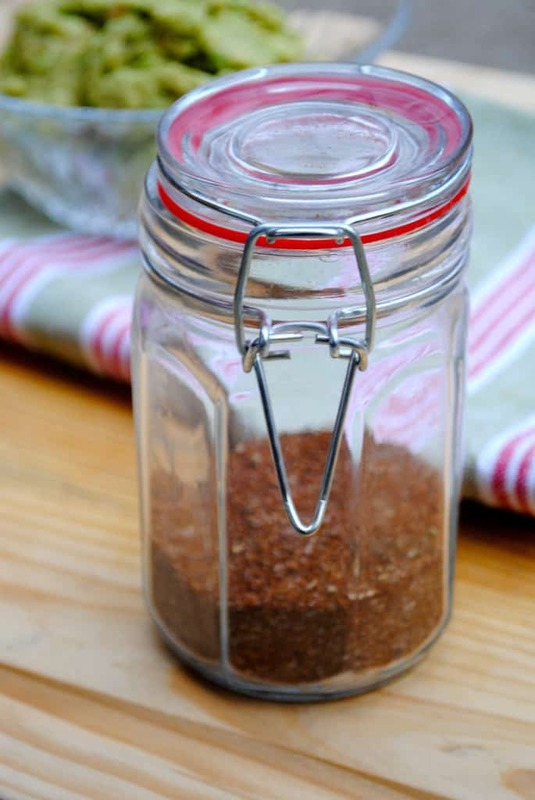 Simple and clean taco seasoning. Store in a glass air tight container. Use 1 T. seasoning mix per 1 lb. ground meat.